Let this fruity-floral scent colour your senses and inspire you to seek and find happiness in your every day. Top notes include watery melon kiss, crispy pear and Alphonso mango. Middle notes feature jasmine and watery floral accord. Bottom notes include violet leaves, amber and blue musk. 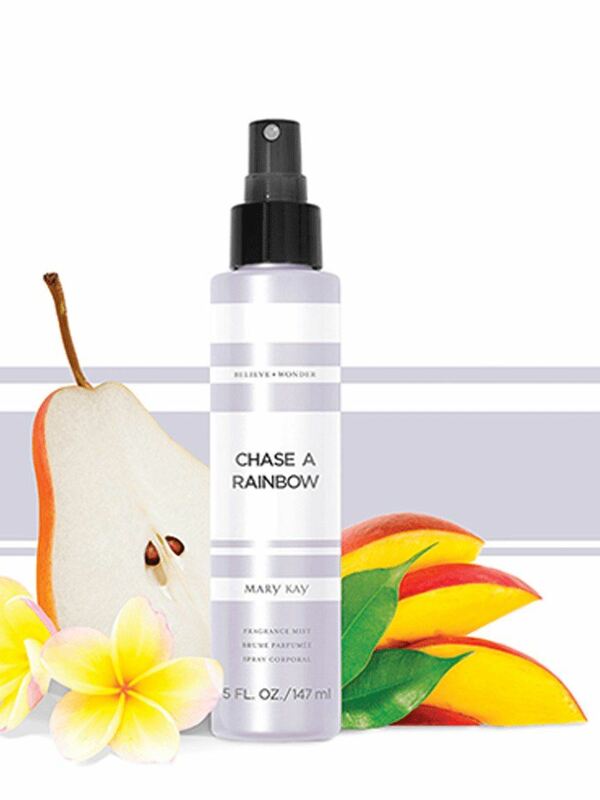 Pair the Fragrance Mist with Chase a Rainbow™ Shower Gel and Body Lotion to create a collection. 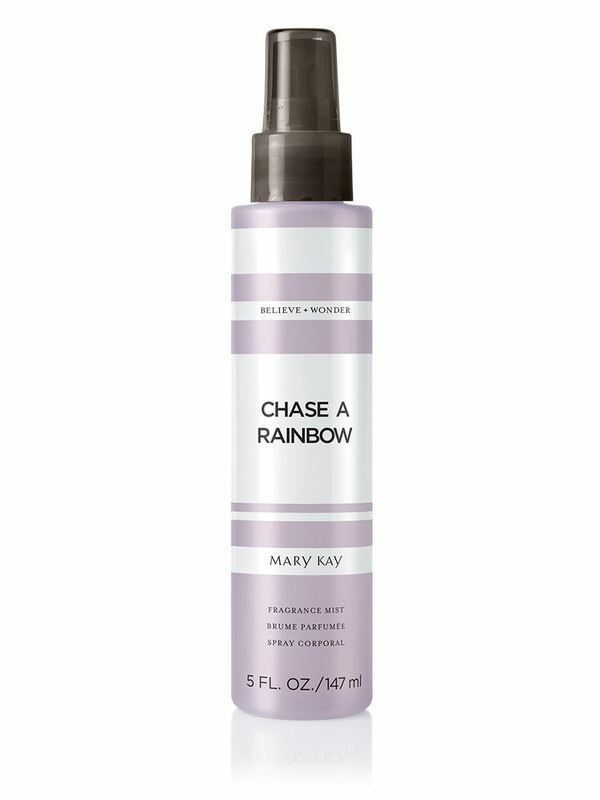 Like a rainbow against the backdrop of a bright, blue sky, this fruity-floral blend bursts with colour. Refreshing top notes of crisp pear and mango give way to watery, fresh florals. Seeking and finding happiness in your every day has never been more exciting. 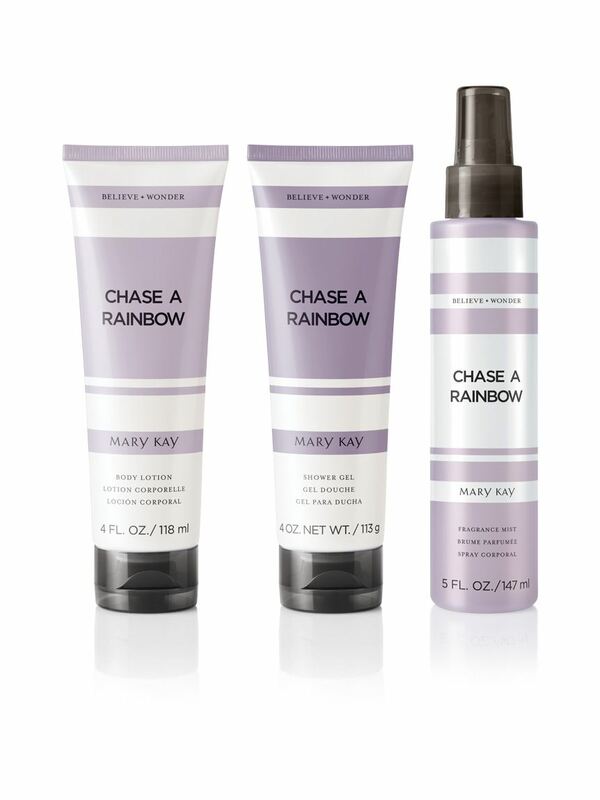 Complete this experience with Chase a Rainbow™ Shower Gel and Body Lotion, each sold separately. Chase a Rainbow™ Fragrance Mist is part of Believe + Wonder™, a collection of inspirational fragrance mists, shower gels and body lotions which also are available in Sail to the Moon™ and Paint the Sky™ scents. Each scent is designed to open your eyes to the infinite possibilities all around you and wonder: What if? What now? And what’s next? Clarify your next move by believing in the power of your dreams.